Which regions are part of the piloting? The piloting of THE LANGUAGE MAGICIAN in Italy has just begun. It will be carried out in elementary schools of the provinces of Siena and Perugia. The choice to work in these two territories has different motivations. First of all they are the areas of the two Italian universities for Foreigners participating in the project (University for Foreigners of Siena and University for Foreigners of Perugia): this guarantees a network of relationships with schools already established, and easily able to support the project objectives. 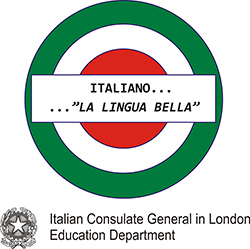 Furthermore, the two areas usefully represent the varied overview of Italian language skills, and so properly provide useful data for the project. Italy is not a homogeneous linguistic area. Standard language and dialectal parlances coexist in it; this not only in older age ranges, but also among children, who are the target of our project. As is common knowledge, Italian standard took shape from the Tuscan-Florentine vernaculars, and it is currently used in formal contexts, whereas different dialects in Italy are in fact real “other languages” to be used in daily life (above all in family and informal contexts). The tests in Tuscan schools (those in the province of Siena) will give us data about the proficiency in L2 acquired by children with language habits that are closer to the Italian standard others. At the same time, with the data of Umbrian schools (province of Perugia) we will be able to highlight the potential effect of other dialects – very different from Italian standard and Tuscan dialects – on proficiency in L2. Finally, working in two adjacent territories (Siena is about 100 Km from Perugia) allows close cooperation between the researchers of the two universities. How many pupils are involved in the project? The piloting we are pursuing involves about 400 children attending the third year of primary school, namely from 8 to 9 years old, divided approximately fairly between the two provinces of Siena and Perugia. Each school has made five classes available, with an average of 20 students per class. These numbers are remarkable, and make THE LANGUAGE MAGICIAN – which is also tested with a further 1.800 children in Germany, the UK and Spain – one of the most important language teaching and learning projects in Europe. Moreover, the piloting has already reached one first outcome: we succeeded to make the schools include it in their curricular activities. A recognition that rewards the accuracy of the project and its aims. When can we expect the first results? The piloting, as said, is in its first phase of data collecting. So far, we found the schools, had the authorisation of the headmasters and started preliminary meetings with the teachers of the classes that will be involved. This required a lot of attention to detail, in which we described them the aims of the project, the procedures of the data collecting and the steps of the piloting. Results will be available within February 2017, in time to be presented during a project conference in Leipzig, Germany. It is always very hard to imagine the results of a piloting, and in some cases, it can be detrimental, because you risk to just search for what you hope to find. Consequently, the only thing we can do is to briefly describe the didactical context in which we work. In Italian primary schools, English is taught two hours per week, starting from the first class. The subject is taught by a specific and experienced teacher, but he or she is not always qualified for doing it. Schoolbooks are generally characterised by a particular attention to the acquisition of lexical proficiency, with very playful activities. The result is a not very suitable knowledge level in the pupils. This means that at the end of the fifth class they hardly know few words (e.g. colours, numbers, some objects and little more), use a few sentences but nothing else. Although new technologies are an important part in the daily life of kids, they are not used enough in schools, and rarely to teach English language. You can easily notice that the background of our work discloses a context in which there is still much to do and that our project aims are very important and valuable: to support teachers of foreign languages at primary level, to define and scaffold European standards at that level, to include technology and to motivate the students. 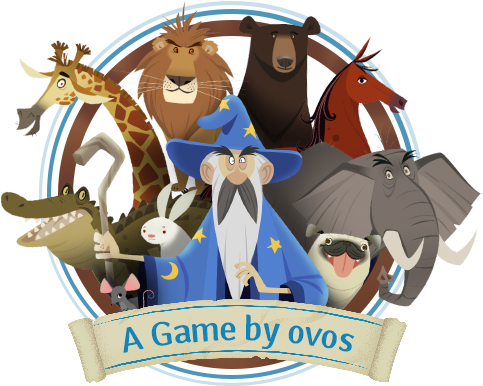 We are sure that THE LANGUAGE MAGICIAN is going to start a journey into the future, and hopefully others will follow in this direction.